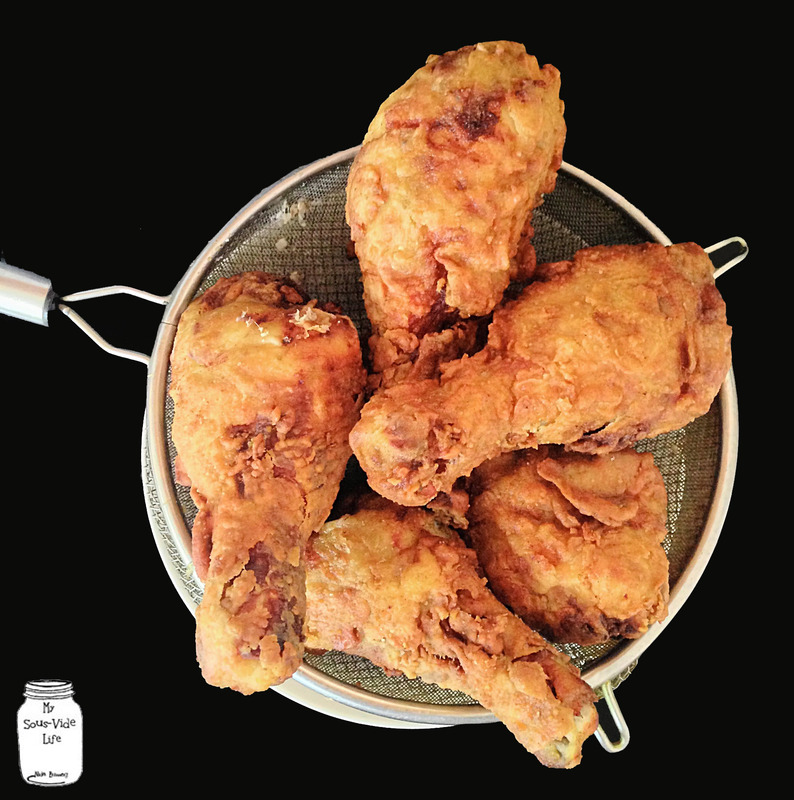 One of my favorite things to eat is fried chicken, and I like it crispy on the outside and juicy and tender on the inside. 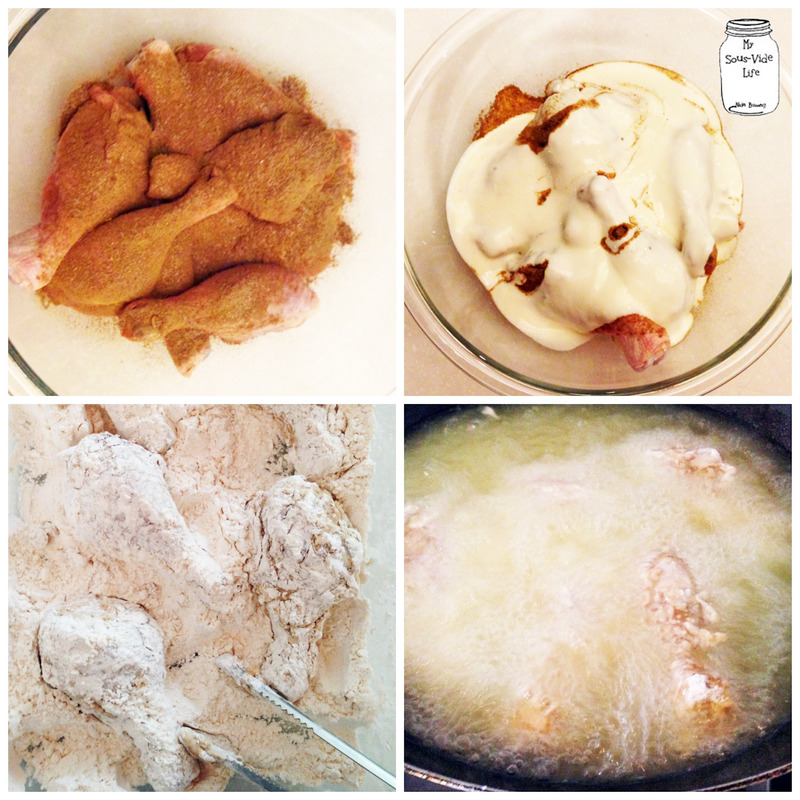 Another thing that I look for in my fried chicken is flavor, and I was so happy to find this delicious-looking buttermilk fried chicken recipe on Foodwishes. You do not want to miss this Youtube channel if you love cooking, Chef John does the best cooking videos on Youtube in my opinion. This chicken recipe is simple, but it requires the use of buttermilk and quite a bit of spices which are not so easy to find here in Thailand. 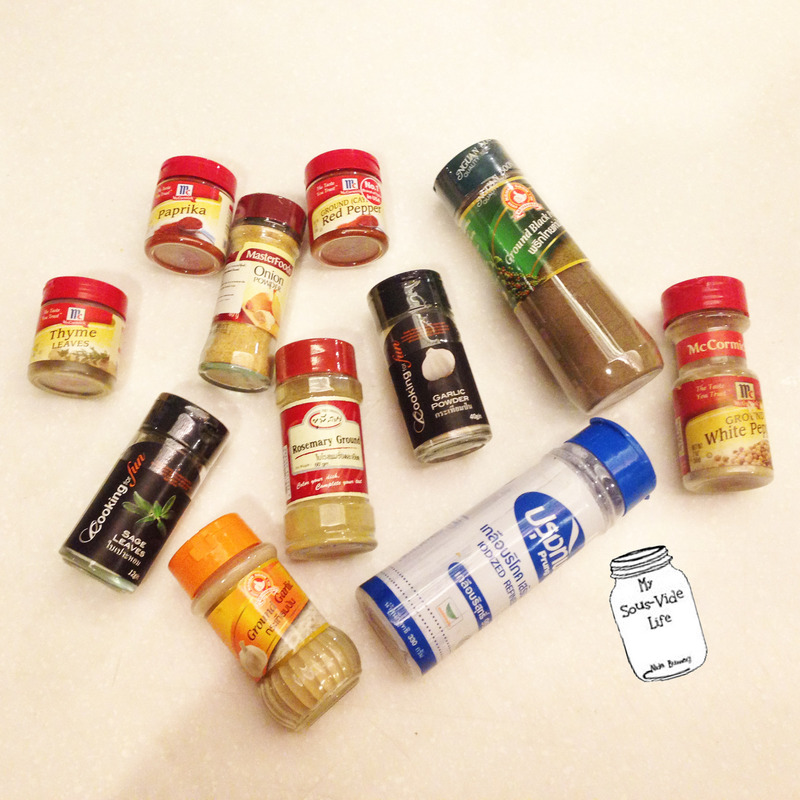 I bought my spices from Villa, and I found the buttermilk at two locations – foodland and Central Chidlom. I spent three days searching 2 villas and 3 Tops Supermarket for buttermilk, can you believe that? Mix the chicken with the spices for the rub and then add the buttermilk and make sure that the chicken is thoroughly coated. Store in airtight container in the fridge for at least 6 hours, I actually put left mine in the fridge for more than a day since I was busy, and it still tasted delicious and the meat became super tender. Prepare the flour mix by mixing all the herbs and flour together in a large shallow dish. Take out the chicken and roll them in the flour mix. Make sure they are drenched and nicely coated throughout. The recipe uses peanut oil at 350 F (176 C,) but I used canola instead. Once the oil is hot, pick up the chicken, give it a little shake, and fried for 20 minutes until crispy and browned throughout. Please resist the urge to dig in straight away though, you’ll burn yourself!